This sauce reminds me of those days when I used to hang out at The Dome Café with the girls. (By girls I mean my ma and my sister) After a long day of work shopping and getting all giddy hanging out at the mall, this would always be my favorite place to have tea and pasta before we call it a day. I am like most people, a creature of habit. 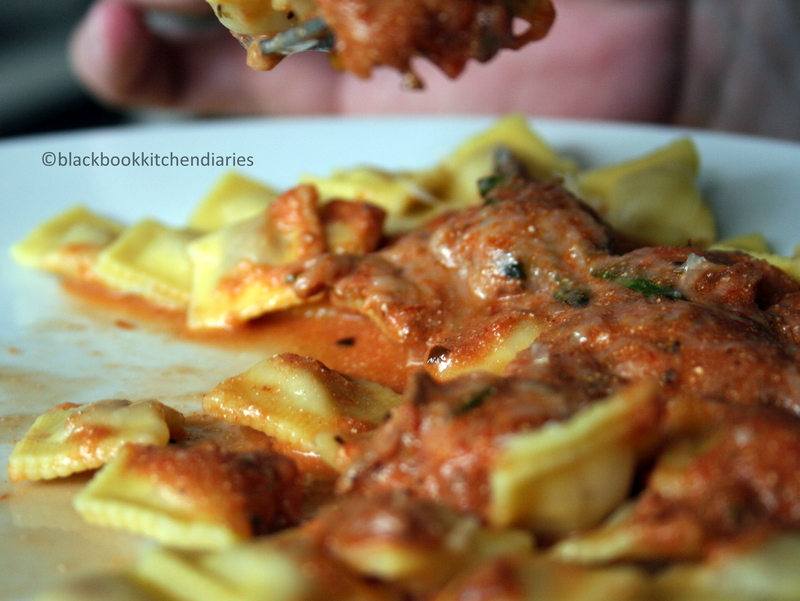 I tend to go to a restaurant and then order the same old dish over and over again even though I pretend to browse through the menu looking for something else to have but I keep coming back to that plate of pasta with creamy mushroom sauce. What can I say; the heart wants what the heart wants. We would all share a plate of pasta and also the tea and scone set but not before complaining about how this would make our thighs bigger and swore we would start walking the very next morning. And then the next morning we would all make plans to go out again for lunch or tea. This sauce to me is very comforting. 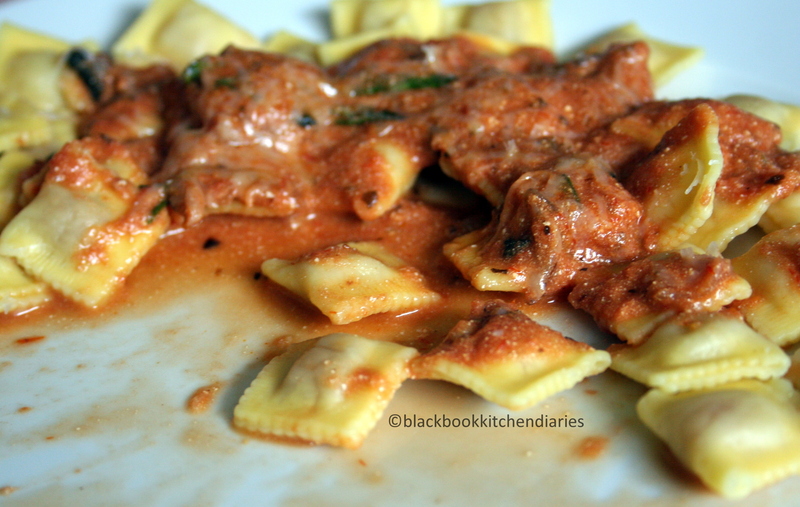 It is hearty, creamy and has a nice hint of spice. In other words it’s like a hug in a plate. You don’t need a proper recipe to put this sauce together, but you do need a nice mix of fresh mushrooms. Although I am pretty sure the one they made at the café uses can mushrooms. I used fresh button mushroom, some porcini and shitake. Sauté diced shallots and garlic in some butter and extra virgin olive oil, and then add in the different blend of fresh sliced mushroom. Cook until the mushrooms are nice and tender, and then add in a couple springs of fresh thyme. Season it with some salt, pepper and a pinch of smoky paprika. Then, add in some good quality marinara sauce (use homemade or store bought) and a couple splash of red wine. Let the sauce cook for about 20 minutes or until it is nice and thick. Turn off the heat and then finish it with a few splash of double cream and stir until it is nicely mixed through. Serve this sauce on a bed of your favorite pasta and finish it with some freshly grated parmesan cheese. 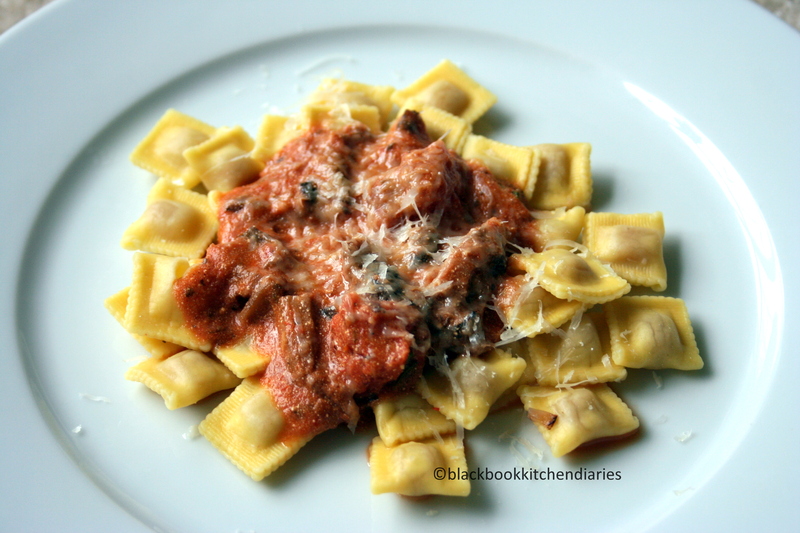 Love this vegetarian ragu! Bookmarked. Will try soon. I am in luv! We are huge mushroom fans and this looks absolutely wonderful… Wish I had a big plate for dinner tonite! Great post! that really looks good! this recipe is a must try.